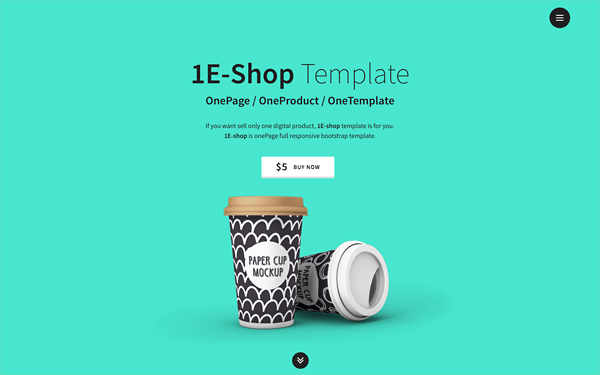 This one-page 1E-shop template is very unique. This template is aimed towards a company who sells a single digital product or has a main digital product (mock-up, template, icons, software, illustration, font, UI Kit, etc.). The images and video used in the 1E-shop template are for demo purposes only. If you want to use any of the content included with the demo, make sure to check the attribution requirements first!